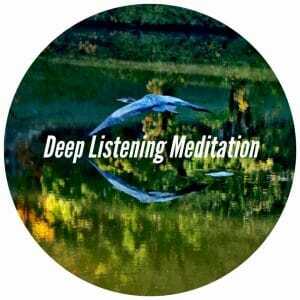 This is an open invitation for you to join Deep Listening Meditation group in person or in an online social network. All are welcome. Consider bringing non-perishable food donation for Free Food Pantry outside of Owen Brown Interfaith Center (OBIC). Owen Brown Interfaith Center, Room 150. View our posts from past meetings, including readings, practices, and other resources. If you have a smart phone, you may choose to download Insight Timer app here. This app has many guided meditations and a meditation timer as well as a group feature where we stay in conversation with others who are in practice.